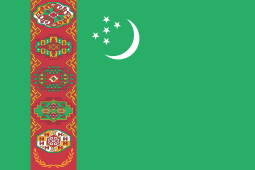 Buddhism in Central Asia refers to the forms of Buddhism that existed in Central Asia, which were historically especially prevalent along the Silk Road. The history of Buddhism in Central Asia is closely related to the Silk Road transmission of Buddhism during the first millennium of the common era. In the 7th century CE, Yijing grouped the Mahīśāsaka, Dharmaguptaka, and Kāśyapīya together as sub-sects of the Sarvāstivāda, and stated that these three were not prevalent in the "five parts of India," but were located in the some parts of Oḍḍiyāna, Khotan, and Kucha. 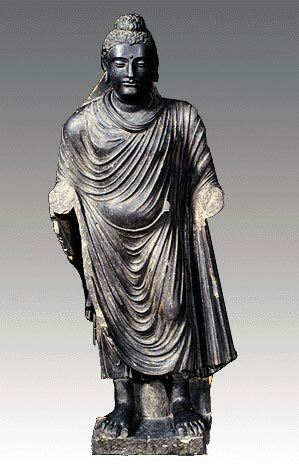 One of the first representations of the Buddha, 1st-2nd century AD, Gandhara: Standing Buddha (Tokyo National Museum). Buddhism in Central Asia began with the syncretism between Western Classical Greek philosophy and Indian Buddhism in the Hellenistic successor kingdoms to Alexander the Great's empire (Greco-Bactrian Kingdom 250 BCE-125 BCE and Indo-Greek Kingdom 180 BCE - 10 CE), spanning modern Afghanistan, Pakistan, Uzbekistan, and Tajikistan. See Greco-Buddhism and Dayuan (Ta-yuan; Chinese: 大宛; literarily "Great Ionians"). The later Kushan empire would adopt the Greek alphabet (Bactrian language), Greco-Buddhist art forms and coinage, and Greco-Buddhist religion of these Hellenistic kingdoms. The first anthropomorphic representations of the Buddha himself are often considered a result of the Greco-Buddhist interaction. Before this innovation, Buddhist art was "aniconic": the Buddha was only represented through his symbols (an empty throne, the Bodhi tree, the Buddha's footprints, the Dharma wheel). This reluctance towards anthropomorphic representations of the Buddha, and the sophisticated development of aniconic symbols to avoid it (even in narrative scenes where other human figures would appear), seem to be connected to one of the Buddha’s sayings, reported in the Digha Nikaya, that discouraged representations of himself after the extinction of his body. Probably not feeling bound by these restrictions, and because of "their cult of form, the Greeks were the first to attempt a sculptural representation of the Buddha". In many parts of the Ancient World, the Greeks did develop syncretic divinities, that could become a common religious focus for populations with different traditions: a well-known example is the syncretic God Sarapis, introduced by Ptolemy I in Egypt, which combined aspects of Greek and Egyptian Gods. In India as well, it was only natural for the Greeks to create a single common divinity by combining the image of a Greek God-King (The Sun-God Apollo, or possibly the deified founder of the Indo-Greek Kingdom, Demetrius), with the traditional attributes of the Buddha. Many of the stylistic elements in these first representations of the Buddha point to Greek influence: the Greek himation (a light toga-like wavy robe covering both shoulders: Buddhist characters are always represented with a dhoti loincloth before this innovation), the halo, the contrapposto stance of the upright figures (see: 1st–2nd century Gandhara standing Buddhas  and ), the stylized Mediterranean curly hair and top-knot apparently derived from the style of the Belvedere Apollo (330 BCE), and the measured quality of the faces, all rendered with strong artistic realism (See: Greek art). Some of the standing Buddhas (as the one pictured) were sculpted using the specific Greek technique of making the hands and sometimes the feet in marble to increase the realistic effect, and the rest of the body in another material. 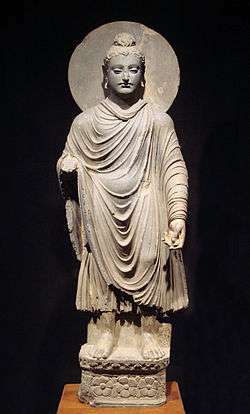 Foucher especially considered Hellenistic free-standing Buddhas as "the most beautiful, and probably the most ancient of the Buddhas", assigning them to the 1st century BCE, and making them the starting point of the anthropomorphic representations of the Buddha ("The Buddhist art of Gandhara", Marshall, p101). When King Kanishka came to power in 78 AD in Central Asia a new system of chronology was adopted, replacing the chronology from the era of the Seleucids. During the Kushan period, various religious systems were widespread in Central Asia. These were the local cult of Mitra and Anahit, Zoroastrian pantheon (Ormuzd, Veretzanga, etc.) the Greek pantheon (Zeus, Helios, Helen, etc.) and the cult of local heroes (Siyavush in Khorezm and Sogd). The followers of Buddhism had been banished from Iran in the 2nd - 3rd centuries and found support in Central Asia, where Buddhism became widely practiced. According to Chinese chronicles Buddhism came to China in 147 from the country of the "big yue dzhi", and thanks to the Kushan missionaries Buddhism was adopted as the official religion of the court of the Chinese emperor, Emperor Huan of Han (reigned 146-168). In the middle of the 2nd century, the Kushan empire under king Kaniṣka expanded into Central Asia and went as far as taking control of Kashgar, Khotan and Yarkand, in the Tarim Basin, modern Xinjiang. As a consequence, cultural exchanges greatly increased, and Central Asian Buddhist missionaries became active shortly after in the Chinese capital cities of Luoyang and sometimes Nanjing, where they particularly distinguished themselves by their translation work. They promoted both Hīnayāna and Mahāyāna scriptures. The ancient Kingdom of Khotan was one of the earliest Buddhist states in the world and a cultural bridge across which Buddhist culture and learning were transmitted from India to China. Its capital was located to the west of the modern city of Hotan. The inhabitants of the Kingdom of Khotan, like those of early Kashgar and Yarkand, spoke the Iranian Saka language. ... the Khotan Dharmapada, some orthographical devices of Khotanese and the not yet systematically plotted Gāndhārī loan words in Khotanese betray indisputably that the first missions in Khotan included Dharmaguptakas and used a Kharoṣṭhī-written Gāndhārī. Now all other manuscripts from Khotan, and especially all manuscripts written in Khotanese, belong to the Mahāyāna, are written in the Brāhmī script, and were translated from Sanskrit. When in 260 AD, the Chinese monk Zhu Shixing chose to go to Khotan in an attempt to find original Sanskrit sūtras, he succeeded in locating the Sanskrit Prajñāpāramitā in 25,000 verses, and tried to send it to China. In Khotan, however, there were numerous Hīnayānists who attempted to prevent it because they regarded the text as heterodox. Eventually, Zhu Shixing stayed in Khotan, but sent the manuscript to Luoyang where it was translated by a Khotanese monk named Mokṣala. In 296, the Khotanese monk Gītamitra came to Chang'an with another copy of the same text. When the Chinese monk Faxian traveled through Khotan, he recorded that everyone there was Buddhist. According to his accounts, there were fourteen main monasteries, and he stayed at the most important of these, the monastery of Gomatī, which housed 3000 Mahāyāna monks. When Xuanzang was later traveling through Khotan in the 7th century, he wrote that the king came out to personally greet him at the border of Khotan. He was escorted to the capital, and lodged at a monastery of the Sarvāstivāda sect. Xuanzang records there being about 100 monasteries in Khotan, housing a total of 5000 monastics who all studied the Mahāyāna. A manuscript in Tibetan called The Religious Annals of Khotan was found at Dunhuang, and may date to sometime in the 8th century CE. It describes the initial appearance of Buddhism in Khotan, including the eight major tutelary deities of Khotan, the "self-originated bodhisattvas" of the country, and a description of the major principles of the Śrāvakayāna and the Mahāyāna, though the Mahāyāna is given preeminence. The śrāvakas are depicted as entering the Dharma through the Four Noble Truths, while the Mahāyāna bodhisattvas are depicted as entering through non-conceptualization and the Śūraṅgama Samādhi. 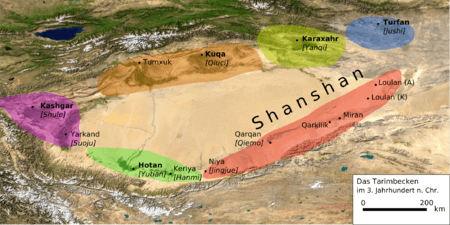 After the Tang Dynasty, Khotan formed an alliance with the rulers of Dunhuang. 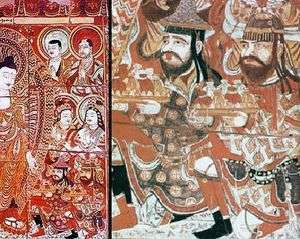 Khotan enjoyed close relations with the Buddhist center at Dunhuang: the Khotanese royal family intermarried with Dunhuang élites, visited and patronized Dunhuang's Buddhist temple complex, and donated money to have their portraits painted on the walls of the Mogao grottoes. Through the 10th century, Khotanese royal portraits were painted in association with an increasing number of deities in the caves. Khotan's indigenous dynasty (all of whose royal names are Indian in origin) governed a fervently Buddhist city-state boasting some 400 temples in the late 9th / early 10th century—four times the number recorded by Xuanzang around the year 630 CE. The Buddhist kingdom was independent but was intermittently under Chinese control during the Han and Tang Dynasty. 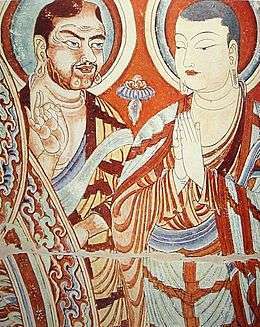 Buddhism was known to be prevalent in the kingdom of Shanshan. An inscription in the Kharoṣṭhī script was found at Endere, originally written around in the middle of the 3rd century CE. The inscription describes the king of Shanshan as a follower of Mahāyāna Buddhism — one who has "set forth in the Great Vehicle." The king who this refers to was probably Aṃgoka, who was the most powerful king of Shanshan. According to Richard Salomon, there is every reason to believe that Mahāyāna Buddhism was prominent in Shanshan at this time and enjoyed royal patronage. More evidence of official adoption of Mahāyāna Buddhism in Shanshan is seen in a letter inscribed in wood which dates to several decades later. The letter describes the Great Cozbo Ṣamasena as one who is, "beloved of men and gods, honoured by men and gods, blessed with a good name, who has set forth in the Mahāyāna." Parts of the Buddhist Indo-Greek Kingdom (180 BC - 10AD), and its successor, the Buddhist Kushan Empire (30AD - 375AD), in particular Balkh, were, and still remain, Persian speaking. The famous Persian Buddhist monastery in Balkh, known as Nava Vihara ("New Monastery"), functioned as the center of Central Asia Buddhist learning for centuries. Soon after the Sassanian Persian dynasty fell to the Muslims (in 651), Balkh came under Muslim rule (in 663), but the monastery continued to function for at least another century. In 715, after an insurrection in Balkh was crushed by the Abbasid Caliphate, many Persian Buddhist monks fled east along the Silk Road to the Buddhist Kingdom of Khotan, which spoke a related Eastern Iranian language, and onward into China. Abū Rayḥān al-Bīrūnī, a Persian scholar and writer in service to the Ghaznavids, reported that around the start of the 10th century, the monasteries in Bactria, including Nava Vihāra, were still functioning and decorated with Buddha frescoes. Several Persian speaking Buddhist monks, including An Shigao and Bodhidharma, played key roles in the Silk Road transmission of Buddhism and the introduction of Buddhism in China. An Shigao (Chinese: 安世高) (fl. c. 148-180 CE) was the earliest known translator of Indian Buddhist texts into Chinese. According to legend, he was a prince of Parthia, nicknamed the "Parthian Marquess", who renounced his claim to the royal throne of Parthia in order to serve as a Buddhist missionary monk in China. Bodhidharma, the founder of Chán-Buddhism, which later became Zen, and the legendary originator of the physical training of the Shaolin monks that led to the creation of Shaolin Kung Fu, is described as a Buddhist monk from Persian Central Asia in the first Chinese reference to him (Yan Xuan-Zhi, 547 CE). Throughout Buddhist art, Bodhidharma is depicted as a profusely bearded and wide-eyed barbarian, and he is referred as "The Blue-Eyed Barbarian" (碧眼胡:Bìyǎn hú) in Chinese Chan texts. Nava Vihara's hereditary administrators, the Persian Barmakids, converted from Buddhism to Islam after the monastery's conquest and became powerful viziers under the Abbassid caliphs of Baghdad. The last of the family's line of viziers, Ja'far ibn Yahya, is a protagonist in many tales from the Arabian Nights. In folktales and popular culture Ja'far has been associated with a knowledge of mysticism, sorcery, and traditions lying outside the realm of Islam. Such traditions of mysticism and syncretism continued in Balkh, which was the birthplace of the medieval Persian poet Rumi, founder of the Mevlevi Sufi Order. The many Buddhist references in Persian literature of the period also provide evidence of Islamic–Buddhist cultural contact. Persian poetry often used the simile for palaces that they were "as beautiful as a Nowbahar [Nava Vihāra]." Further, at Nava Vihāra and Bamiyan, Buddha images, particularly of Maitreya, the future Buddha, had 'moon discs' or halo iconographically represented behind or around their heads. This led to the poetic depiction of pure beauty as someone having "the moon-shaped face of a Buddha." Thus, 11th-century Persian poems, such as Varqe and Golshah by Ayyuqi, use the word budh with a positive connotation for "Buddha," not with its second, derogatory meaning as "idol." This positive connotation implies the ideal of asexual beauty in both men and women. Such references indicate that either Buddhist monasteries and images were present in these Iranian cultural areas at least through the early Mongol period in the 13th century or, at minimum, that a Buddhist legacy remained for centuries among the Buddhist converts to Islam. 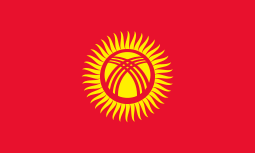 Other religious kings, such as the 16th century Mongol potentate Altan Khan, invited Buddhist teachers to their realm and proclaimed Buddhism the official creed of the land in order to help unify their people and consolidate their rule. In the process they may have prohibited certain practices of non-Buddhist, indigenous religions and even persecuted those who followed them, but these heavy-handed moves were primarily politically motivated. Such ambitious rulers never forced their subjects to adopt Buddhist forms of belief or worship. This is not part of the religious creed. ↑ For information on the Sogdians, an Eastern Iranian people, and their inhabitation of Turfan as an ethnic minority community during the phases of Tang Chinese (7th-8th century) and Uyghur rule (9th-13th century), see Hansen, Valerie (2012), The Silk Road: A New History, Oxford University Press, p. 98, ISBN 978-0-19-993921-3. ↑ Halkias “When the Greeks Converted the Buddha: Asymmetrical Transfers of Knowledge in Indo-Greek Cultures.” In Religions and Trade: Religious Formation, Transformation and Cross-Cultural Exchange between East and West, ed. Volker Rabens. Leiden: Brill, 2013: 65-115. ↑ Standing Buddha:Image Archived June 16, 2013, at the Wayback Machine. ↑ Standing Buddha:Image Archived October 21, 2006, at the Wayback Machine. ↑ "Khotan - Britannica Online Encyclopedia". Britannica.com. Retrieved 2012-04-06. ↑ Forte, Erika. 2015. "A Journey “to the Land on the Other Side”: Buddhist Pilgrimage and Travelling Objects from the Oasis of Khotan." In Cultural Flows across the Western Himalaya, edited by Patrick Mc Allister, Cristina Scherrer-Schaub and Helmut Krasser, 151-185. Vienna: VÖAW. p.152. ↑ Robert E. Buswell Jr. and Donald S. Lopez Jr. (ed.). "An Shigao". The Princeton Dictionary of Buddhism. Princeton, New Jersey: Princeton University Press. p. 49. ISBN 9780691157863. ↑ Religious Freedom Page Archived August 29, 2006, at the Wayback Machine. Halkias, Georgios (2014). “When the Greeks Converted the Buddha: Asymmetrical Transfers of Knowledge in Indo-Greek Cultures.” , Leiden: Brill, 65-116.